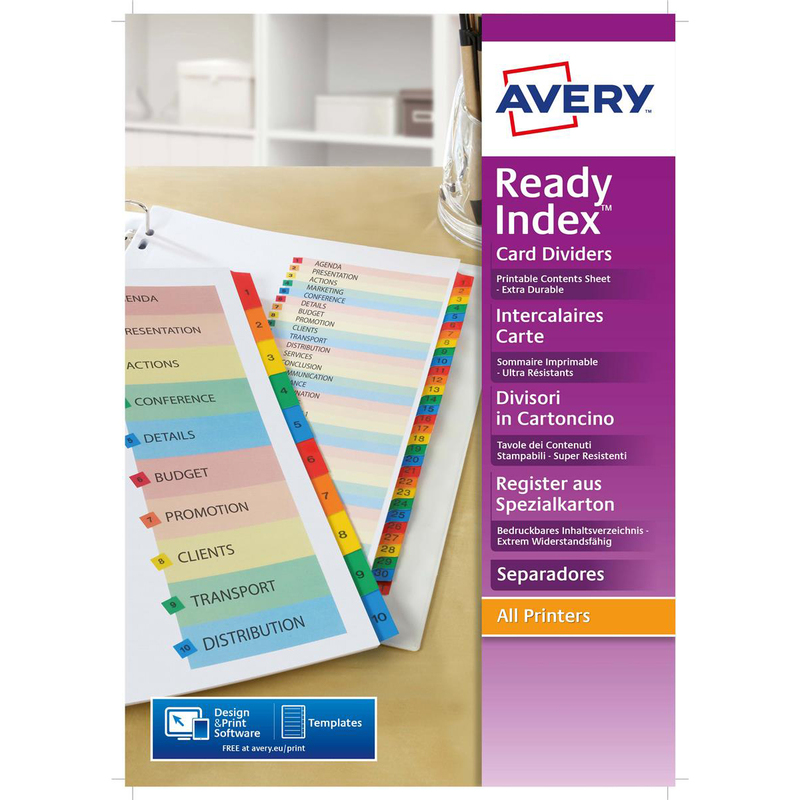 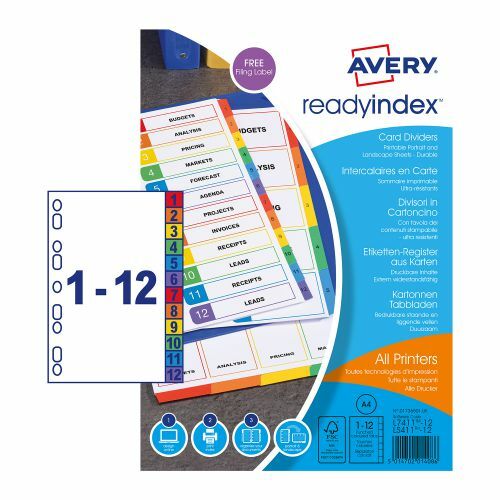 Avery ReadyIndex 1-12 Punched Dividers make organisation as professional as possible. 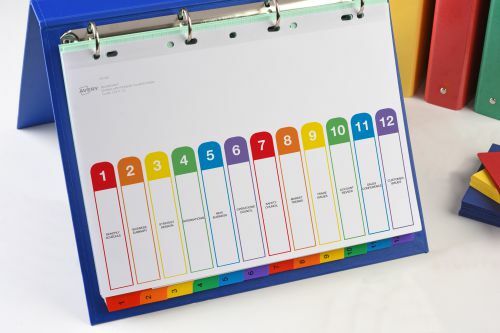 Coordinate your documents into sections for extremely quick referencing with these stylish colourful dividers. 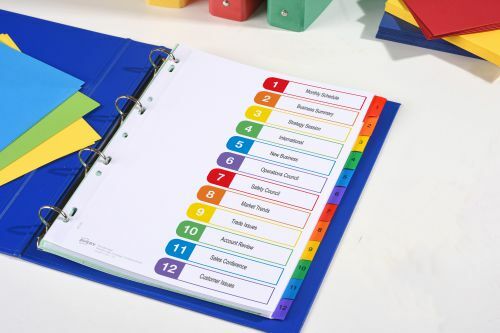 ReadyIndex dividers have reinforced punched holes and tabs for extra strength so you can use them time and time again. 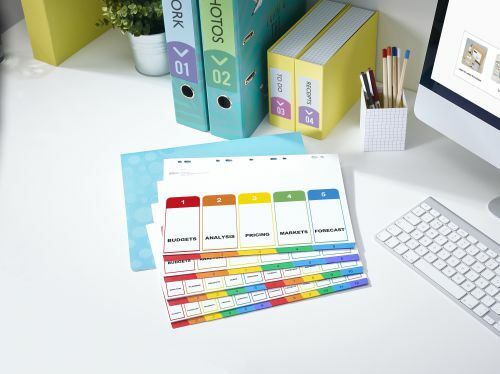 Each pack contains both a landscape and portrait printable contents sheet.